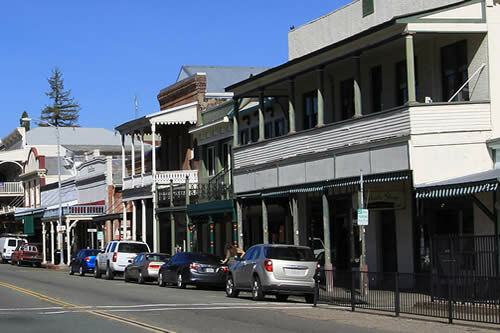 Sutter Creek’s Main Street is home to a variety of Antique Shops. Each one filled with fascinating, beautiful and unique antiques from yesteryear. 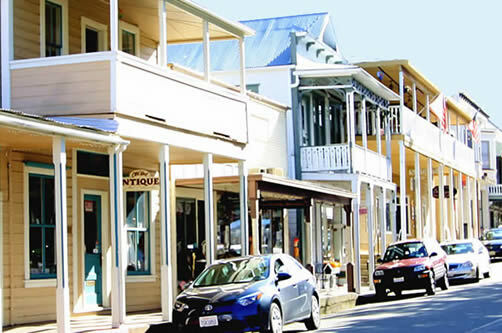 Enjoy browsing these Sutter Creek antique shops while partaking of our historic small town atmosphere. California Gold Country shopping at it’s finest. The shop owner is highly knowledgeable about collectible coins, sports cards, prospecting equipment and metal detectors. He also carries a treasure trove of unique jewelry. 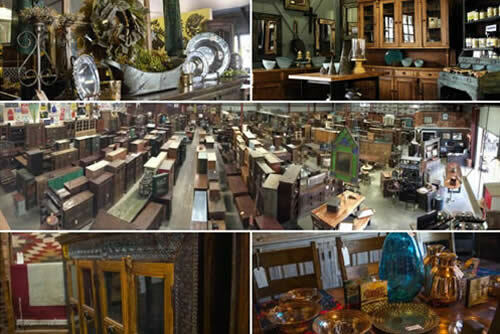 Over 10 different vendors offer diverse items from beautiful furniture pieces reflecting the elegance of the past, to cut and pressed glass, antique and costume jewelry and charming collectables. You never know what you’ll find here, but the treasure hunt is on the way! Look for lovely, antique furnishings, glass and ceramics, sparkling jewelry from the past and more collectables than you thought possible. There are pretty clothes buttons and campaign buttons, paper ephemera, teacups and saucers, dolls and toys and much, much more. Take time to visit times past in this inviting collective of wondrous selections from knowledgeable vendors. 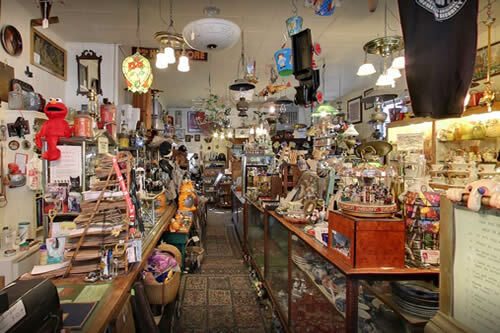 Old Hotel Antiques is one of the longest established stores in Sutter Creek – since 1973. We feature Depression Glass, jewelry, advertising and collectors items to numerous to mention them all. We look forward to making new friends and customers. Call or stop by to see if we have what you are looking for! Purchase Aprons, Caps, Tee Shirts and Pinkerton patterns. Available at the Knight Foundry Monthly Tours and by phone. 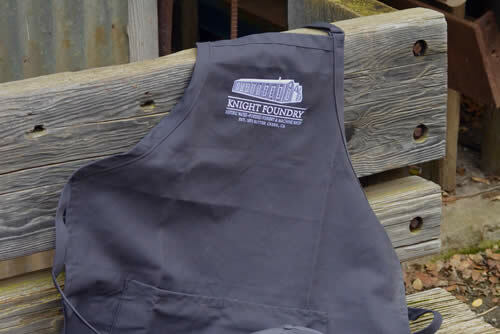 See the Knight Foundry merchandise here. Sutter Creek’s Historic, Industrial Crown Jewel. The Knight Foundry, set in the heart of Sutter Creek, California, is America’s last water-powered foundry and machine shop. 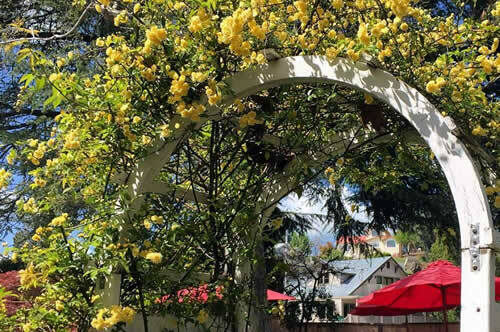 Established in 1873 by Samuel Knight, this extraordinary facility includes the unique historic equipment and machinery, still in place in its original context, just as it was during its Gold Rush-era heyday. Knight Foundry is nationally recognized as a National Historic Mechanical Engineering Landmark and a California Registered Historical Landmark. 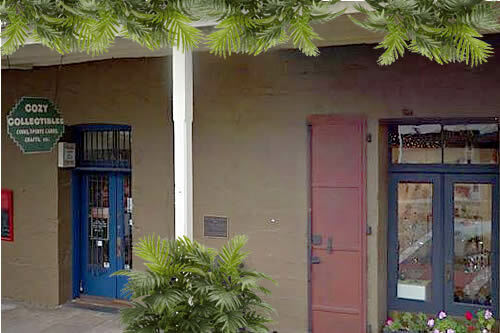 The Foundry is listed on the National Register of Historic Places and was named by the National Trust for Historic Preservation as one of America’s eleven most endangered historic places. Specializing in Vintage Collectibles, Antiques, New Gifts, and Home Decor. The cool thing about the Tigby Hill layout of the shop is that it is 2 separate rooms. Front room is more feminine with girlie vintage items and new candles and soaps. Also beautiful handmade vintage china mosaic hearts that Mary makes. Peter has the back room filled to the brim with his hot rod photography, vintage toys, old flags and collectibles. They have beautiful original artwork, home decor, old books and also have an extensive assortment of 1970’s hippie turquoise jewelry! 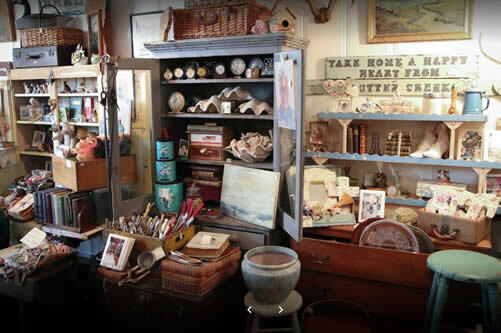 A unique blend of new and old awaits shoppers at The Antique Gardener. Enjoy shopping for terra cotta planters with moss patina, Guy Wolff pottery, garden ornaments and statuary, hummingbird feeders, cards and gifts and seasonal decor. Browse an ever-changing selection of European and American antiques, specializing in galvanized tubs and planters, metal garden chairs and architectural salvage. Soaps, lotions and candles lend fragrant counterpoint to the inviting displays. Succulents, herbs, perennials and unique containers filled with freshly planted flowers can be found in the garden outside. Drop into The Antique Gardener Wednesday through Monday from 11 a.m. to 5 p.m.